ATTENTION: does not fit without reworking the Harley-Benton ST 62LH. I had to cut off a few millimeters at the half cut as well as at the bridge. Also, the 11 wells do not match the ones available. So I wanted to send the pickguard back. Then I have made the effort and the material removed as well as 9 of 11 holes re-set. Some of them are very close to the existing one, so I have simply used toothpicks to fill up. The time expenditure was on the whole not insignificant, but the really nice original Pickguard in Schildplatt optics did not fit in my opinion to the black corpus. very nice surprise at the reception. why pay more when thomann provides excellent. 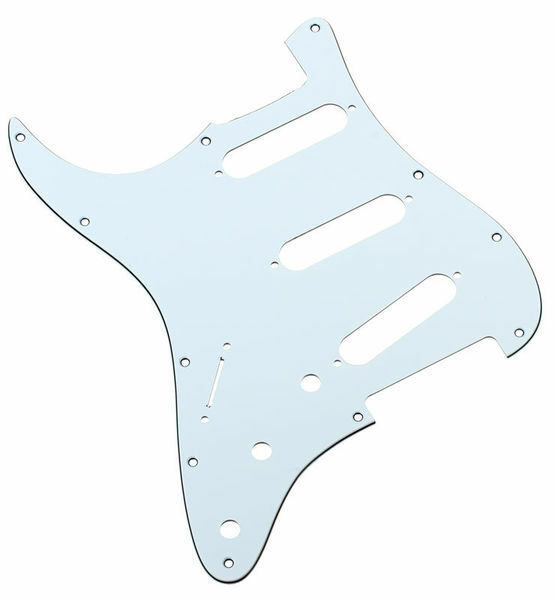 I recommend this pickguard for its value for money. ID: 314186 © 1996–2019 Thomann GmbH Thomann loves you, because you rock!